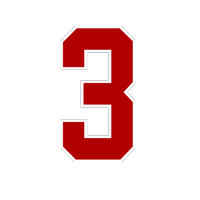 The #3 on all the helmets, banners, uniforms and signs stand for three character traits of a leader. These traits will be taught to all the athletes of 380 Youth Sports throughout the season. Don't delay there will be limited spots and registration will close as teams fill up! To help develop a love and appreciation of the game in our players so they may gain the life lessons that football teaches. ©2019 380 Youth Sports / SportsEngine. All Rights Reserved.